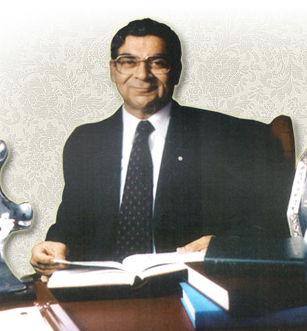 The self-proclaimed “father of nutritional immunology,” Ranjit Kumar Chandra, has lost two more papers following the release of a misconduct investigation report by his former employer, Memorial University of Newfoundland (MUN). The report was released last year after Chandra lost his libel suit against the Canadian Broadcasting Company (CBC). The newly retracted papers were both published in Nutrition Research. On one, the author is listed as “Amrit Jain,” who is allegedly Chandra, as well. Nutrition Research retracts the article “Influence of vitamins and trace-elements on the incidence of respiratory infection in the elderly” (Nutr Res 2002;22:85–87). Concerns have previously been raised regarding the data presented in the article (see, for example, Sternberg S, Roberts S. Nutritional supplements and infection in the elderly: why do the findings conflict? Nutr J 2006;5:30. DOI: 10.1186/1475-2891-5-30), but no response has been received from the author despite efforts to obtain clarification. After the recently released report by the Memorial University of Newfoundland (accessed February 8, 2016, at http://www.mun.ca/research/PRYSE-PHILLIPS_REPORT1126.pdf), the editor believes that there are sufficient concerns regarding the validity of the research reported in the article to retract it from the medical literature. The MUN report mentioned in the notices was released following the court decision in the CBC libel case, and focused on a 2001 paper by Chandra in Nutrition that was retracted in 2005. Aware that his studies were under attack, Chandra apparently sought to bolster his findings by publishing in Nutrition Research, a journal he founded and edited, a study that claimed similar effects to his own research article in Nutrition. The author of the study was named as Amrit Jain, but this author has never been traced beyond a rented mailbox in Canada. Nutrition Research retracts the article “Influence of multinutrient supplement on immune responses and infection-related illness in 50–65 year old individuals” (Nutr Res 2002;22: 5–11). Concerns have previously been raised regarding the data presented in the manuscript (see, for example, Sternberg S. and Roberts S. Nutritional supplements and infection in the elderly: Why do the findings conflict? Nutrition Journal 2006; 5:30. DOI: 10.1186/1475-2891-5-30) and following the recently released report by the author’s then-employer (accessed February 8, 2016, at http://www.mun.ca/research/PRYSE%20PHILLIPS_REPORT1126.pdf), the Editor believes that the concerns identified justify the retraction of the article from the medical literature. Both articles were published in the same issue of the journal in 2002, and were cited 17 and 22 times, respectively, according to Thomson Reuters Web of Science. …said that the report “was the product of a flawed investigation process and could not be relied upon.” In the CBC programmes, however, a university spokesman said that the university had not acted on the report because of legal threats from Chandra. A few months ago, a 24-year-old paper in The Lancet was also struck from the scientific record. Earlier this month, Chandra failed to appeal the loss of a libel suit he brought against the CBC in time. It is a huge scandal that this has taken so many years and that several other papers have not been retracted. At least he didn’t pick “Tom Marvolo Riddle”. Not only fraud, but incompetent fraud! How much work would it really be to write a small computer simulation to generate realistic-looking data with a specified effect? Luckily it appears that most people who falsify data do so badly–though I worry about the ascertainment effect; do we ever catch people who falsify really well? I am not professionally equipped to do this, but a study contrasting falsified data found by statistical examination with falsified data exposed by whistleblowers or confession could be very interesting. Is there anyone else in the field of nutritional immunology that refers to Dr. Chandra as the “father of nutritional immunology”?